Best contended vegetable garden with rich soil compost they still attract some insect pests. Therefore, it’s upon you to look after and always maintain the garden to prevent such attacks from the insects. Vegetable pest control is less expensive than purchasing and employing pesticides. The easiest and best way to prevent insect destroying your garden is to daunt them from coming to the place by building healthy, organic soil (top dressing your crop with natural and compost fertilizer and mulching), minimizing insect habitat, pulling out weak vegetables as they may be infected, seaweed mulching or spraying which contain barium, magnesium, calcium, iron, sulphur, and zinc that encourage healthy growth of plants, rotating and mixing the crops, keeping the foliage dry by watering the vegetable early in the morning, and disinfecting the gardening tools. There are insects that are beneficial to your garden where you can use them to prey harmful insects or their larvae. Others help in building a healthy organic soil. Such insect includes Ichneumon wasps, Chalcids, and Beachnoids which destroy leaf-eating caterpillars and are attracted by caraway, parsley, celery, queen Anne's lace and carrots, ladybugs, lacewings, hoverflies, playing mantis among others. Providing regular irrigation and choosing varieties of vegetables resistant to pests is a great way to integrate pest management. Stagnant water or small water ponds attract small pests. Utilize row cover barriers to chuck out pests. Applying pesticides should be the last resort as you may kill even beneficial insects. Chose the right insecticide and apply as little as possible specifically meant for the past affecting your garden. 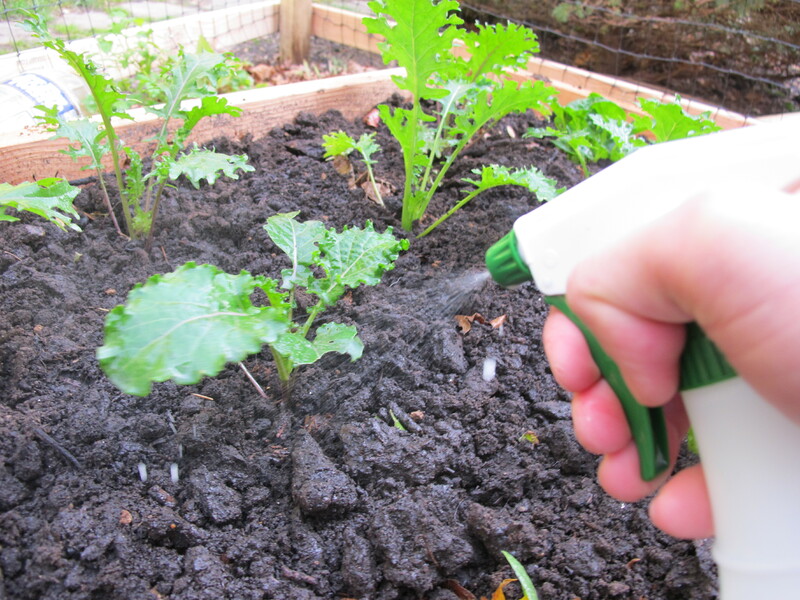 The less spray you use the better to maintain a long-term healthy garden. Recommendable insecticides for vegetable gardens include; particle film dust used against Colorado potato beetles, tarnished bugs, and Japanese beetles. Diatomaceous earth used against juvenile Colorado potatoes, been beetles, leafhoppers, and aphids. BT Kurstaki discourages cutworms and cabbage worms. Horticulture oils destroy corn earworms, aphids, spider mites, leafhoppers, and whiteflies. Others include Sluggo, Botanical insecticides, Insecticidal soap, Neem Pyrethrins. Home organic pesticides for vegetables include oil spray, baby shampoo spray, and garlic spray, red pepper spray that discourages pests like leafhoppers, beetles, spittlebugs, and aphids. Grow more of your successful vegetables by practicing theses gardening tips and you will enjoy the fruits one season after another season.